We saw "Crazy Rich Asians." Good movie. Very much a romantic comedy, mostly romantic. I had friends who thought it was a laugh riot. It was funny here and there but to me, not a riot. Great story. It was fun to see how "the other half" live. The opulence was amazing! Singapore is a beautiful city. I?m sure this movie will be a real boon to tourism. 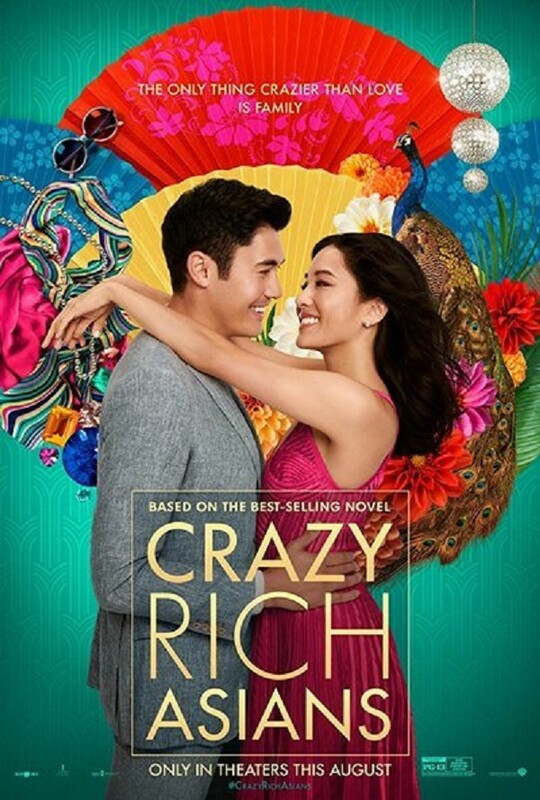 The plot revolves around a couple in NYC, Rachel and Nick played by Constance Wu and Henry Golding, who have been dating for a year. Henry is the best man for a friend in Singapore and decides to bring Rachel so she can meet his family. This is when she becomes aware that he is a "crazy rich Asian." She reconnects there with an old college roommate, Peik played by Awkwafina. Nick's family isn't too accepting of Rachel who is only an Economics professor at NYU. Watching the dynamics of "family" is amazing. The movie is a little predictable but the scenery and acting more than make up for it. The supporting actors really brought it all together. Some of them were: Kheng Hau Tan as Rachel's Mom, Michelle Yeah as Henry's, Ken Jeong as Peik's Dad. I really enjoyed it. So go. Have fun. Eat popcorn.